We’ve all heard the saying “less is more”. Sometimes stripping away all the gimmicks and fancy elements from our layouts and focusing on the core design principles can result in a much more aesthetically pleasing web design. 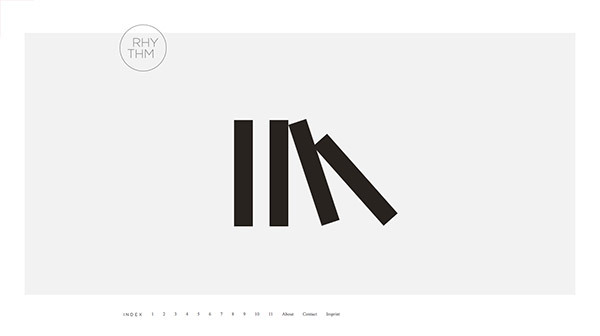 This post showcases some of the best examples of ultra minimal web design. Get inspired! The sophisticated image of minimalism has always been a popular style of design. In web design, a minimalist site is stripped naked of eye candy and fancy colors or effects, leaving the underlying structure exposed. The key to a beautiful minimalist site is a solid and structured layout, as well as focus on stylish and well-designed typography. These 50+ examples of minimalism in web design showcase some of the best minimal site designs out there on the web. If you feel the need to change things up and try something new, check out these inspiring examples of ultra minimal web design. Browse through this selection and discover new web designs. 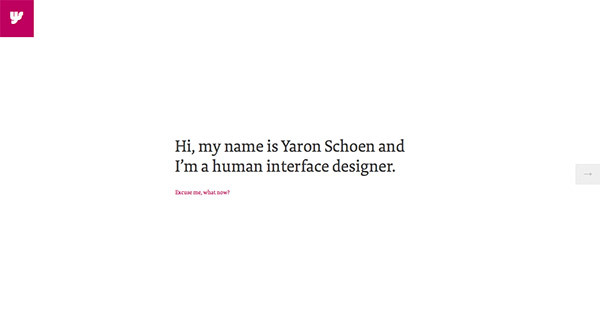 Yaron Schoen’s website has a minimalist design which uses a white background and an interactive portrait of himself. You can also have a look through his impressive work. This example is definitely worth following and can be a great source of inspiration. Have a look and see if you think the same. Dodge & Burn is yet another good example of a website that uses a minimalist design in an eye-catching way. It has a white background on which content stands out. It also uses typography in a creative way that blends in well with the minimalist web design layout. Friends of the Web also has a nice minimalist website that is worth checking out. It uses colours and nice infographics to present this company’s line of work. Have a look and see if you find your inspiration. Tender to Art has a dark theme that presents contemporary art created by Tendercapital. It has an interesting and creative design which can definitely be a great source of inspiration for future projects. One and Other is a company which designs identities, and this is exactly what they express through their portfolio website. It is yet another good example that uses a white background on which they place impressive and representative large photos. It is definitely an example worth following and which might be a great source of inspiration for future projects. Check it out! This is yet another good example of a minimalist website that uses a white background and lots of typography. Johann Lucchini is working on a brand new website but you can still check out his works on his portfolio website and get inspired by its amazing design. Paravel loves coding and designing and you can see that on this company’s minimalist yet highly creative website. This is yet another good example worth following and which can be a great source of inspiration for future projects. It uses a white background and a cool representative image that will definitely grab your attention. 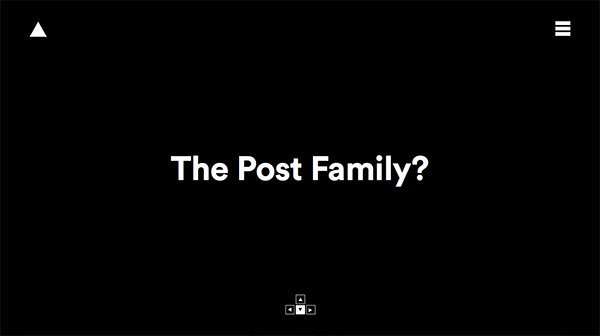 This is yet another cool and dark themed minimalist website. This is Chad Miller’s website. He is an art director, graphic designer and introvert and his website prove his vast experience in this line of work. Epok Design is yet another good example worth following for future projects. It has a minimalist and elegant design that can definitely grab people’s attention. 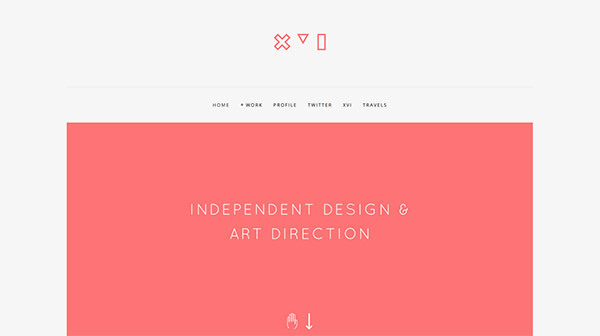 Roy Barber is designer and front-end developer with a minimalist and elegant website. This website might be your next source of inspiration for future projects. The Grid System has a minimalist design and a cool way to present templates. This example can be a great source of inspiration if you are working on a similar website and it can also come in handy thanks to its good and constant content. 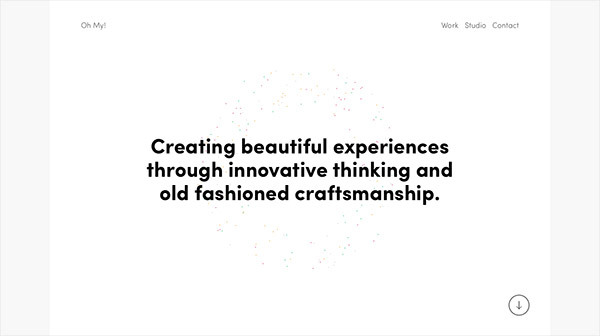 If you were working on a portfolio website and you were looking for some good inspiration Patrick Fry’s website might be exactly what you were looking for. This is a business card website for a design studio called Monumento. 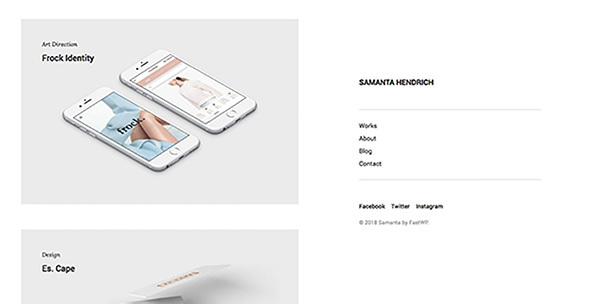 It uses a minimalist design with a white background and typography. They also have a cool logo. Check it out! Temple is yet another good example of a minimalist website that uses a white background in which they present their work through a nice and round shaped slider. Check out this amazing website that presents the work of Information Architects. It uses a large and representative image as the first thing a visitor sees, followed by their projects. Glitty presents wooden accessories for your devices through a minimalist website. This is yet another good example that can be a great source of inspiration for future e-commerce projects. This website uses a large image as the first thing a visitor sees followed by a personal quote and a gallery of projects. 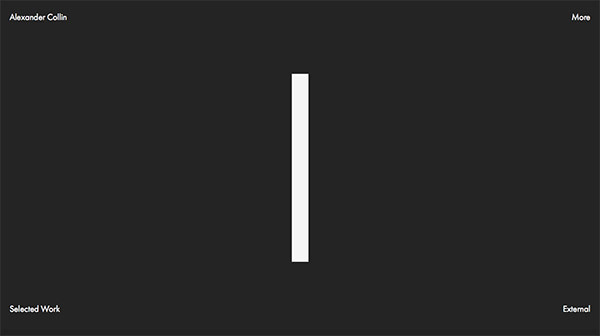 This is a graphic designer and art director’s website that uses a minimalist design. It is yet another good example which can be a great source of inspiration. Check it out! Last but not least, this example uses a much more colourful minimalist design. It has a blue background and uses pink typography in different shapes and sizes. Have a look and see if you find your inspiration. If you are tired by information crowded websites then this minimal web design will soothe your eyes. Check out this minimal presentation and discover its full features. Elegant website design which is a great example of a minimalistic and professional design. This website has an exceptional animated background which gets your attention. It uses a white background, a lot of typography and medium-size thumbnails in a modern eye-catching way. This blog depicts the writer’s work, life, and over-time progress in terms of change, dealing with change and more importantly, how to embrace your feelings. This website presents an abundance of good food in the city of Boston. If you don’t know where to go out to eat or grab a snack you can always check out their picks. Thesoulist.com’s aim is to depict Federico Repetto’s struggles, experiences and his work in different fields. This website has a sensitive way of presenting its information to its readers through web design. This website will help you find anything you need in the spa and hospitality sector. On qcterme.com you’ll find two main categories: destination and experiences which will make it easier for you to find what you’re looking for. This website belongs to an independent designer and developer who is currently working in Cordoba. His main objective is creating attractive solutions for his clients. This website presents an experiment, a ‘playful research’ whose purpose is to listen to people’s needs before deciding anything else. Agence-belle-epoque.fr comes in handy when you need help with your digital project. They will come up with a good strategy, design and so much more. This website belongs to an Architecture Agency based in London. They present their projects with the help of an easy-to-read and watch minimalist design. ‘Keeping it simple’, as the home page of biron.io says, depicts the creative direction of a Freelance Digital Designer based in London. His website is a good example of an innovative minimalist design. With their minimalist web design, Panini Bay is the product of a family’s love for food. They present through this website the Italian cuisine they serve and a breathtaking view thanks to the location of the restaurant. 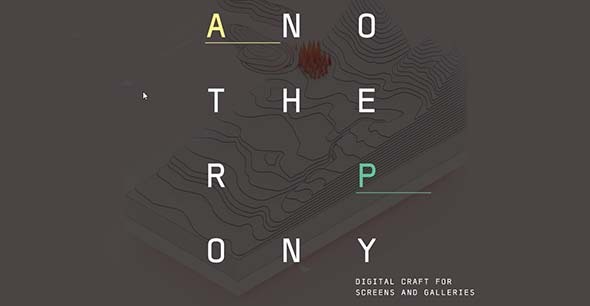 Anotherpony was established in 2012 as a collective made of three designers who love spending their time creating. Some really great examples here. It’s given me a few design ideas to play around with. Thanks for sharing! it’s true joseph. web design is part of graphic design and i believe that the best website designs are the minimalist ones so thanks buddy. it’s make a powerfull visual effect. Nice design templates, Can you send me download links ? Any examples from female designers? 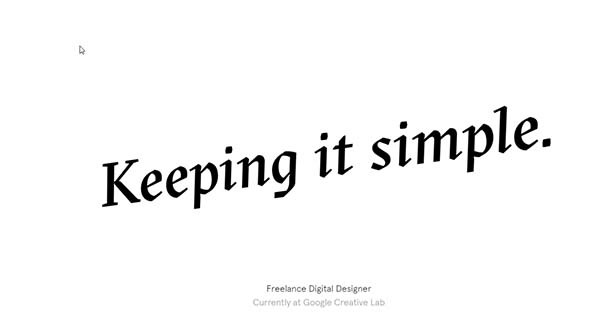 Less is more is something most good designers will always advocate. Persuading clients not to throw the kitchen sink at a homepage is a different proposition altogether. I would love to live in a world where everything looks classy, minimalist and uber contemporary. Minimalistic design is getting popular! it is really good example of ultra minimal web-designing. it is useful..
Hi there, you have selected a very best list of ultra minimal web designs. In my opinion every single one is best. Thank you for sharing this list. In most of the themes, you have used white background colors. The design simple but creative. I like the simplicity which make a web page more attractive. 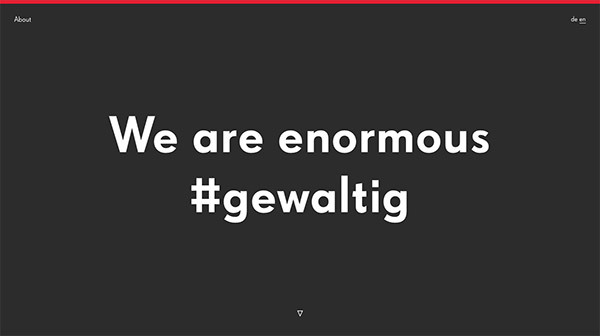 Some really great minimalistic web design’s on this list. Glad to know about these important information,Thanks! Thank you for including Ten & Bourne’s website, we’re actually in the final stages of a rebranding so the page will soon be changing. I love the Jac in the Box site. Minimal is definitely the new cool and a VERY welcome break from the sea of over designed parallax sites that have been the fashion for what seems like ages. A really nice collection of great sites. Nice find. Check this one out also although not so minimal but has that elegant twist to it. Very inspiring points about the web designs. We are using the latest web designs with lots of colors, trendy headers and stunning imagery, but sometimes it’s nice to heaving the style of minimalist design.